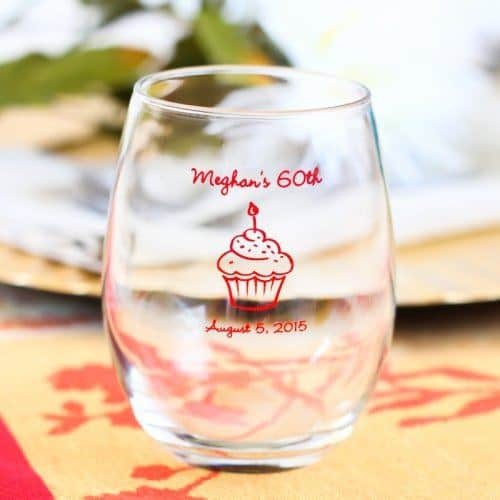 Personalized wine glasses are elegant party favors that the guests will be sure to rave about! Beau-Coup offers personalized stemless wine glasses with over 30 different icons ranging from elegant to whimsical to funny. You can also choose from a variety of imprint colors – choose a color to match your party theme! The guests can use the wine glasses to drink from at the party, or you can give them out as they are leaving. You could fill the glasses with candies or other goodies, place them in a party favor box or bag, or just give them out by themselves.